Turns out, there are some pretty kind ways to encourage your colleagues to get some rest — and keep from getting the rest of the office sick. We’ve all been there: You have a colleague who is sniffling, sneezing, and coughing the day away. They might be physically at work, but they’re not really getting all that much done, since it’s pretty clear they feel absolutely miserable. And yet, they won’t go home. What gives? It happens in every office, and sometimes, it takes permission from a manager or another coworker to get the sick person to finally call it a day. But how exactly to broach the subject in a way that makes it clear that they really should take a day (or two!) off to recover? After all, you don’t want their illness making its way around the office. Ahead, real-life business people share how they handle this situation with a variety of approaches. “A great, non-invasive way of encouraging a sick employee to leave is by giving them a Starbucks (or another coffee shop) gift card for five dollars and telling them to go get a tea and go home for the day,” says Jacob Dayan, CEO and Co-founder of Community Tax and Finance Pal “Five dollar gift cards will not break the bank, and are a great way to show your employees that you care. Not only does this show your commitment to their health, it also helps motivate them to actually have something to leave for.” Of course, you don’t have to be someone’s manager to use this tactic; you can take this approach with a coworker you know well, too. And if you don’t think they’ll take you up on your advice to go home? “If you want to be even more clever, you can send the employee out for coffee or tea, call them while they are out, and tell them to take the rest of the day off.” Works like a charm. Sometimes, the best thing you can do is be brutally honest. This strategy works best with someone who tends to deflect more polite suggestions that they should head home for the day or doesn’t seem concerned about passing their illness to others. “Be honest. 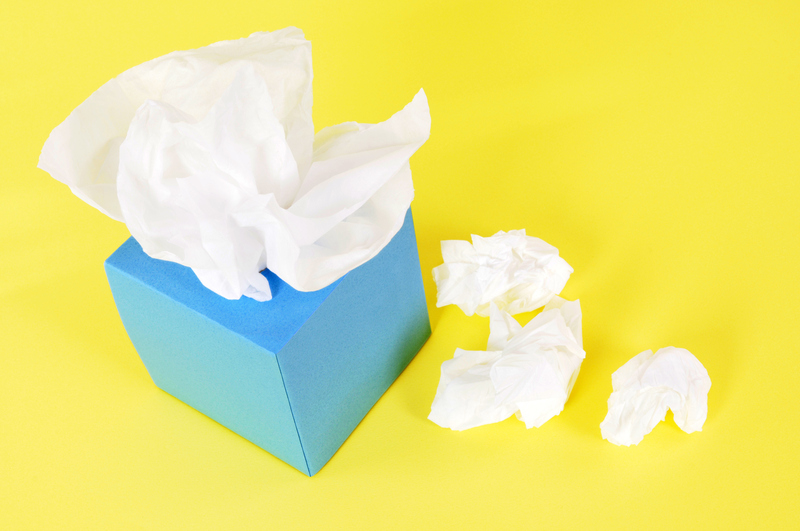 Let the coworker know that the last thing anyone wants is to catch a cold or the flu from them, especially if it can be easily avoided,” says Brandi Britton, district president of OfficeTeam. You can also appeal to their logical side. “Mention that coming to the office when you’re sick may actually delay their recovery time or make things worse. This approach works because it instills fear in people and no one wants to be the one who infects the whole office.” It might be a little harsh, but it’s definitely effective.